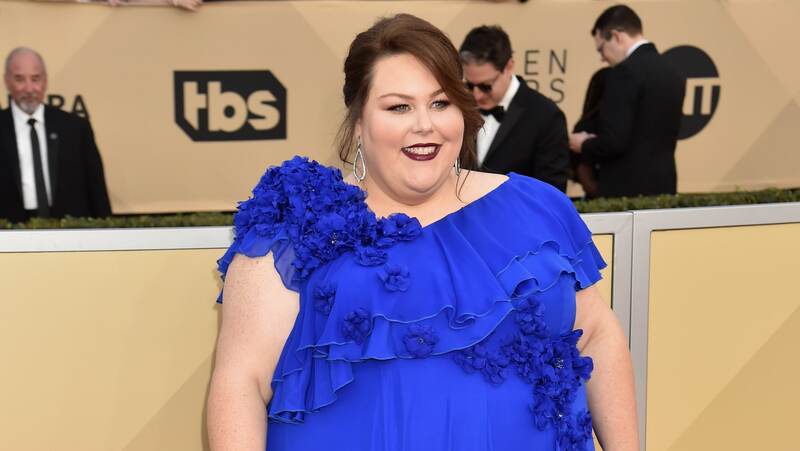 The character Kate Pearson on This Is Us has introduced the world to the talents of actor Chrissy Metz. Over the course of close to two full seasons, Metz has brought Kate to life and made her a character that exists outside the traditional stereotypes of “obese female” and actually has a full, complex life that includes planning a wedding, navigating career confusion, processing a miscarriage and finally coming to terms with the loss of a parent. In short, Metz has been given a lot to do with Kate on This Is Us, and in her latest interview with Glamour, she details how some real-life family hardships and heartbreaks have factored into how she connects with the characters she plays; perhaps playing Kate is something of a method-acting process for Metz after all. In the interview, she discusses what drew her to her latest movie role in the upcoming faith-centered film The Impossible, in which Metz plays Joyce, a woman whose son falls through ice on a frozen lake and later dies at the hospital, but his heart begins to beat again after Joyce prays at his bedside. Metz describes how she connected with the film’s premise thanks to the experiences she’s had in her own life with heartbreaking family turmoil. It sounds like Metz is finding productive ways to channel her personal trials into success, but it’s also undoubtedly a good thing that she is finding ways to connect to a variety of characters and further capitalize on her success as Kate on This Is Us.